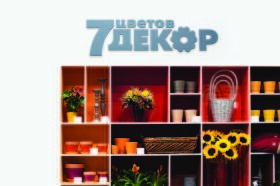 Browsing articles from "Март, 2015"
According to this program individuals can get the customer’s Client Card of 7FLOWERS-Decor if they are recommended by Araik Galstyan Moscow International Floral Design School. Trainers, famous and young graduators or students can be recommended by the College. 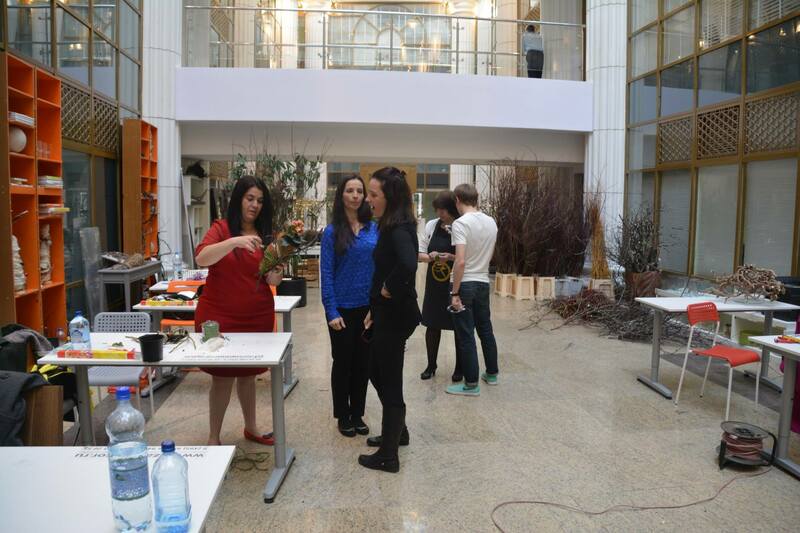 We have already started our classes of MBA at ARAIK GALSTYAN MOSCOW INTERNATIONAL FLORAL DESIGN SCHOOL. We have very good students team from Brazil, Argentina, Russia. The the second day of classes in the evening we have visited The Moscow School of Management SKOLKOVO, there where workshop-descussion «The program for the flower market leaders», where the students of ARAIK GALSTYAN MOSCOW INTERNATIONAL FLORAL DESIGN SCHOOL and also MBA class students were expert there and share their opinions also. We have interesting, hard and very useful program with our student and hope they will like it. The classes will be held until 31 of March. In the end of the classes students have examination and if they have good scores, so will get MBA diploma. 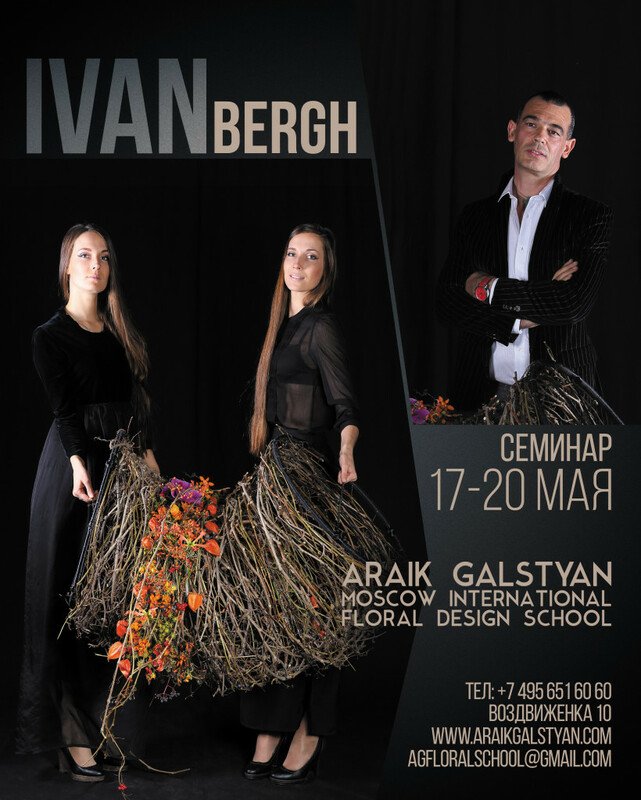 We invite for the workshop of Ivan Bergh on 17-20 of May, 2015 in Moscow at Araik Galstyan Moscow International Floral Design School. Theme: Shop windows design ; Interior object Art ; Shapes and colors. 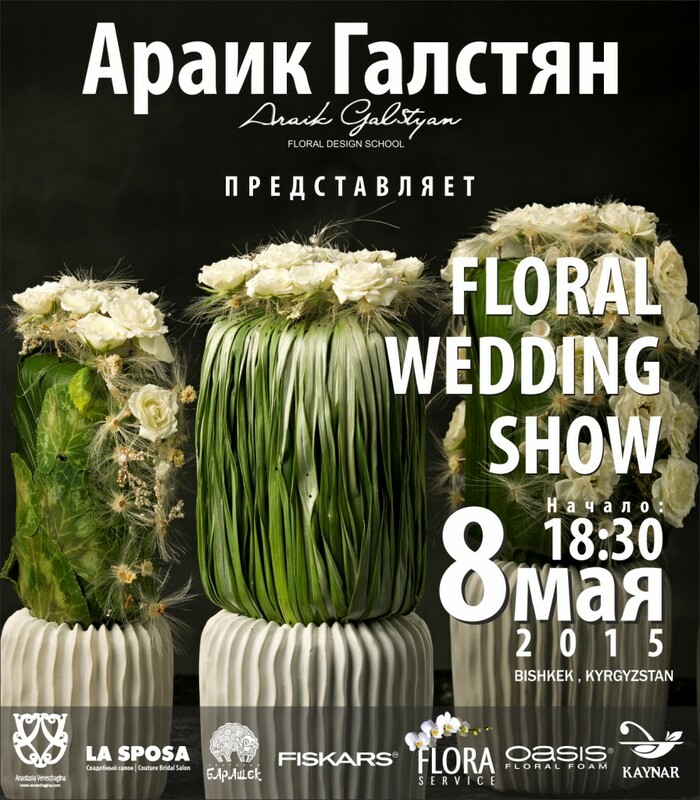 We invite everyone to attend the seminar and show in Bishkek. Starting dates — 10.00, ending — 18.00. Lunch (included in the fee) — from 13.00 to 14.30. 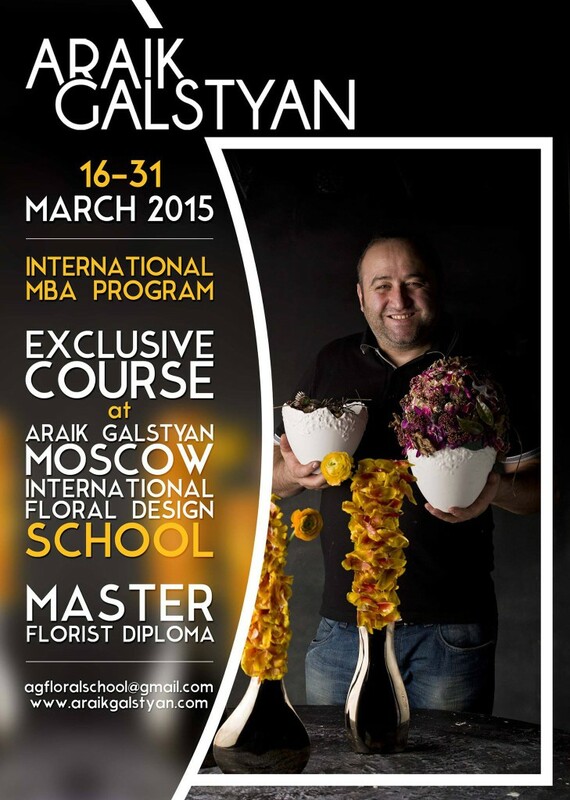 Araik Galstyan Moscow International School of Floral Design invites you to join the new and unique educational programme for all flower business representatives. Visit the SKOLKOVO Business School on March 18 and join us for the presentation of the Practicum Educational Programme! The Russian flower industry has an impressive potential it is the third-fifth market in the world. The leaders in this business will be those who use a different type of planning and management. Therefore, we gather together those industry players who are ready to develop, change and negotiate. At the presentation you will meet the programme’ experts and professors, as well as your future groupmates, also you will be provided with an individual consultation about the programme. And finally — if you have not been at SKOLKOVO Campus, it is an excellent opportunity to stroll through one of the most beautiful educational buildings of the world and have a coffee. Your participation is important. Looking forward to seeing you! 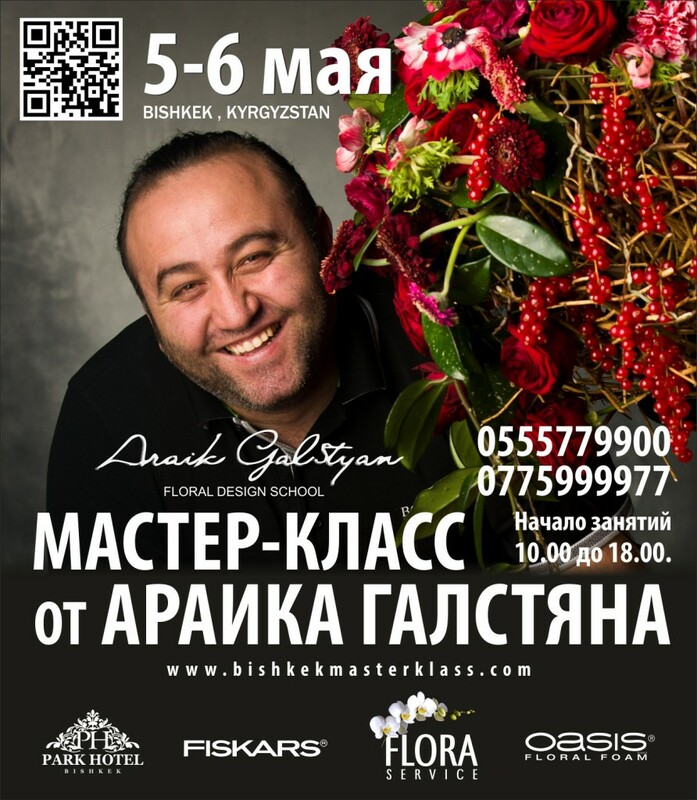 Today our team ARAIK GALSTYAN MOSCOW INTERNATIONAL FLORAL DESIGN SCHOOL conjunction with media personalities to create beautiful arrangements to raise funds for children of cancer patients. 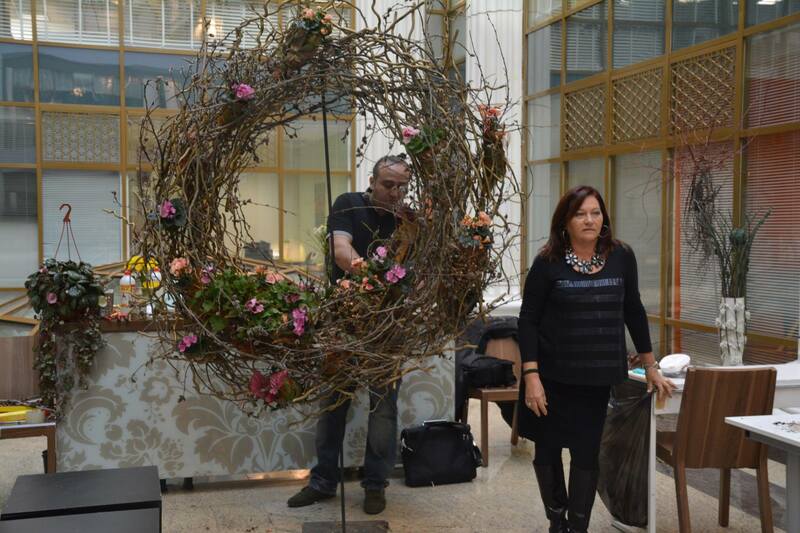 Participants in a charity auction FLOWERS. KINDNESS. Steel and casual visitors, and those who came specifically. Thanks to all participants. The main purpose of the auction — raising money for the benefit of the charity fund «Give Life». Lots — bouquets collected known and loved artists, musicians, and artists. 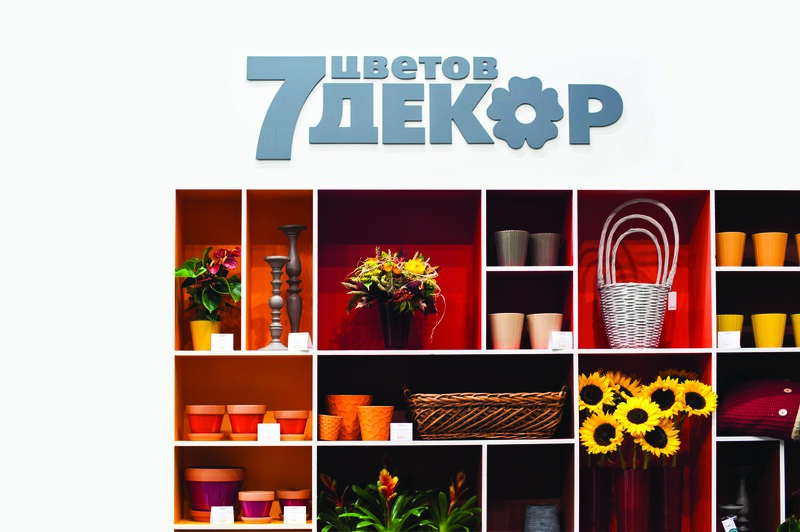 Florists steel Nikas Safronov, Mitya Fomin, Andrey Derzhavin, Konstantin Kryukov, Igor Butman, Igor Gulyaev, Sergey Mazaev, the group «Ivanushki International», Vlad Lisovets, Anton Shahin and others. T he beginning of spring is the time of grace for the florist. In these days of waiting of the awakening of nature the most romantic people wake up feeling that, on the one hand it helps to create the most original arrangements, on the other hand it makes these arrangements very popular among buyers. Here in such high spirits in anticipation of Spring is coming together students ARAIK GALSTYAN MOSCOW INTERNATIONAL FLORAL DESIGN SCHOOL workshop on one of the most sought-after designers in the world, florists — Stefan Van Berlo. 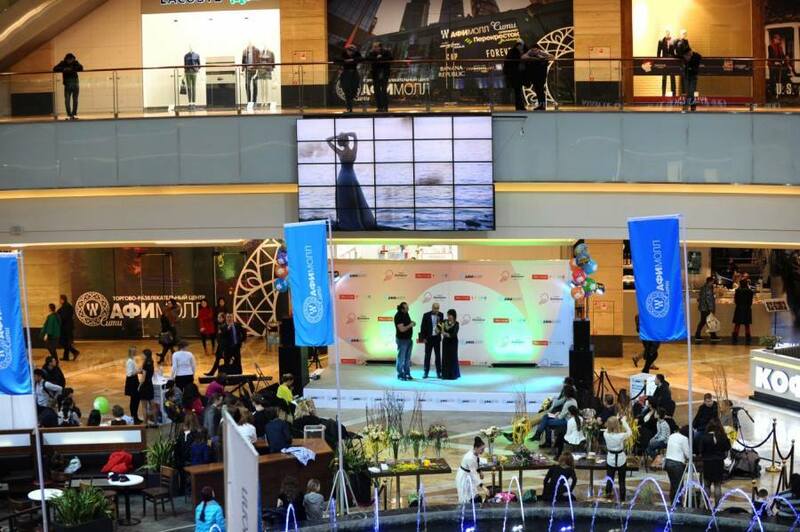 4 days in a row from 18 to 20 February in the beautiful atrium where the school held a real feast of unbridled creativity. The theme of the seminar «Innovative technology for creative bouquets and arrangements» set the tone and mood to create unique beauty of the arrangements.